A formerly live squirrel being examined by a visiting vulture on the street in front of our house in our former neighborhood. I had expected or hoped the bird would remove the dearly departed, but Big Bird surrendered to the passing vehicles and flew off leaving everything in place. Although it was trash collection day, the truck had already passed. That left it up to me. I carefully shoveled the remains into a plastic bag, twisted and tied the bag closed, then slipped that bag into another plastic bag, which I also sealed securely. I placed the package into an open trash container in our garage, thinking my job was done. Mistake. The next day, the pungent odor hinted that I should have covered the container, which I belatedly did. Four days later, the trash was collected; however, weeks later I was still airing and spraying the container to eliminate the reminder. Before we move on, you might want to clear the air. Think of aromas like your grandmother’s baking, the turkey in the oven, coffee brewing, flowers, baby powder, crayons, chocolate. OK? Ready? As you likely surmised, the Berkeley Alert reviewed olfaction, the sense of smell. I was surprised the discussion never used the word “dog.” And though it touched on nostrils, noting that one of our two is normally dominant, how could it not mention the ability of rats and moles to smell in stereo, a topic covered in my post Stereo Seeing and Smelling? Instead, the review was about you and me and our not so unusual sense of smell, which they wrote can detect at least 10,000 different odors. I regret having to point out that a 2014 study from The Rockefeller University and Howard Hughes Medical Institute calculated that number to be more like one trillion! -Women tend to have a keener sense of smell than men. -The ability to perceive a specific odor declines with continuous exposure to the odor. -Odors can affect the release of certain neurotransmitters, encouraging mood change, relaxation or even reduced pain; but the effect varies with culture, genetics and associations. -African-Americans and Hispanics begin to experience age-related loss of smelling earlier than Caucasians. 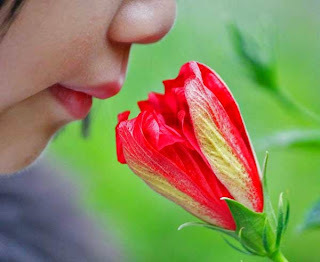 -The sense of smell is the only cranial nerve that can regenerate, and scent cells are renewed every 30 to 60 days. -We can smell fear and disgust through sweat. -Every individual has a unique body odor, which, like a fingerprint, might be recognized, for example, by victims of violent crime. Beyond all the fond memories of my late mother, I always think of her if I smell mothballs. She would salt the white marbles on stored sweaters and blankets or just about anything that didn’t move. Recently, my brother had a mothball alert, when the departing tenant of a neighboring apartment left mothballs that threatened my brother’s cockatiel. It’s a hair-raising story, but…well, it’s my brother’s story. Thanks for stopping by.